Maryland’s Wildlife Agency Director longest serving in U.S.
Bill introduced 2019 legislative session to open waterfowl hunting on Sunday’s failed in Senate Committee. The Bill’s Sponsor plans to reintroduce Bill again 2020 legislative session. In early January, aerial survey teams of pilots and biologists from the Maryland Department of Natural Resources made visual estimates of the ducks, geese and swans along most of the state’s Chesapeake Bay, Potomac River and Atlantic coast shorelines. This year, the teams counted about 566,300 waterfowl. Maryland’s mid-winter waterfowl survey is part of an annual, nationwide effort to survey waterfowl on their wintering grounds to monitor local distribution and habitat affiliations. Overall, dabbling ducks were lower (64,400) than last winter while diving duck numbers (182,000) were very similar to last winter’s count. 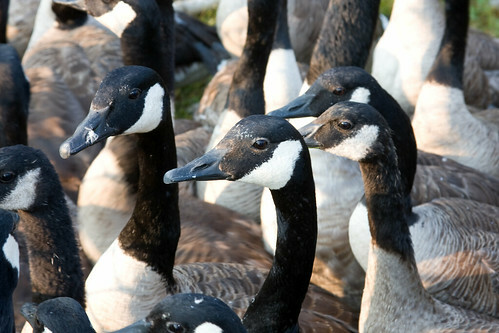 Survey teams also observed fewer Canada geese (250,200) than last year’s record count. Observation teams noted that overall numbers of waterfowl were more difficult to count this year due to lack of snow and ice cover, which normally helps concentrate birds into smaller areas. MDWFA rallies stake holders to keep Lewis Wharf boat ramp open in Dorchester County. November 2018 up date, no trespassing signs and new gate access have been removed so campaign has been successful. The Atlantic Flyway Council and U.S. Fish & Wildlife Service are poised to reduce the mallard bag limit in the Atlantic Flyway from 4 to 2 birds per day starting with the 2019–2020 hunting. Mallards are managed as three distinct population units including Western (California, Oregon and Washington), Mid-continent (prairie pothole region, parklands and boreal forest) and Eastern (northeast states and eastern Canada). Bag limits and season lengths for the Atlantic Flyway are primarily influenced by the population status of eastern mallards through an adaptive harvest management (AHM) framework. Band recovery information suggests that most mallards harvested from North Carolina to eastern Canada are produced within the region. In recent years, the breeding population of mallards in eastern Canada has been stable but declining in the northeastern states especially New York and Pennsylvania. The decline is significant enough to cause the current AHM model to predict restrictive seasons in the Atlantic Flyway. Based on historical records, mallards in northeastern North America were common migrants but rarely bred there. Depletion of wild stocks due to market gunning and later the outlawing of live decoys resulted in the wholesale release of captive mallards. Thus, the release of captive reared birds was likely more responsible for mallards appearing in the northeast than eastward expansion from the core range in the Prairie Pothole Region. In fact, recent genetic studies suggest eastern mallards are more closely related to Old World mallards than their prairie brethren. Manmade modifications to the landscape allowed mallards to nest in areas previously unexploited by the species and populations of mallards in the northeast grew significantly over time as they pioneered new habitat. Duck harvest management in the Atlantic Flyway was historically based on the status of prairie ducks and later mallards via adaptive harvest management (AHM). Drastic population declines due to drought on the prairies during the 1980s, resulting restrictive seasons (3 birds/day and 30-day seasons) and band recovery data suggesting few prairie ducks are harvested in the Atlantic Flyway served as an impetus for data collection and investigating AHM for eastern mallards. Following a decade of data collection through the Atlantic Flyway Breeding Waterfowl Survey, the Eastern Survey Area Breeding Waterfowl Survey (Canada) and intensified preseason banding, an AHM model for eastern mallards was established in 2000 and has informed harvest management in the Atlantic Flyway to present. The eastern mallard breeding population reached a peak of 1.1 million in 2004 but has significantly declined since and last year’s estimate was approximately 650,000. While the population in eastern Canada has largely been stable, it has been declining in the northeast U.S., especially in New York and Pennsylvania. The decline since 2004 represents about 420,000 birds and is significant enough for the current AHM model to recommend reduced hunter harvest. The cause of the eastern mallard population decline is undetermined. Hypothesized reasons for the decline include loss of carrying capacity on breeding and non-breeding areas, reduction in “artificial” winter feeding activities in the NE states, over harvest, and the population exceeding carrying capacity and stabilizing at a lower equilibrium population near carrying capacity (e.g., like reintroduced wild turkey populations). Biologists are currently examining existing data sets (juvenile/adult age ratios and banding data) to identify potential issues with production and survival. Atlantic Flyway biologists from the states and U.S. Fish & Wildlife Service are currently working towards a new multi-stock AHM model that will include mallards and four additional species including green-winged-teal, wood duck, ring-necked duck and goldeneye. Collectively, these species make up about 60% of the Atlantic Flyway duck harvest. Consequently, hunters will likely retain liberal or moderate season packages (60 and 45 days, respectively). Despite this forthcoming change, the Atlantic Flyway is proposing to reduce the mallard daily bag limit from 4 to 2 starting in 2019. Modeling suggests that reducing the bag in this manner will reduce harvest by 25% and achieve a sustainable harvest level. Ramifications of the observed decline are complex and extend beyond eastern mallards. Like eastern mallards, the American black duck, a flagship species of the Atlantic Coast Joint Venture and high priority NAWMP species, harvest is managed via a species-specific AHM model. Within the black duck AHM model it is hypothesized that the abundance of eastern mallards adversely impacts the black duck population via reduced production. The mechanism for this potential impact is via competition during the breeding season as these species are closely related both morphologically and genetically. There is also potential for hybridization between these two species where they overlap on non-breeding areas. Thus, there are potential tradeoffs when considering management decisions surrounding these two species. There is concern that the declining eastern mallard population and proposed bag restriction will catch Atlantic Flyway hunters off guard and potentially result in reductions in hunter numbers, private habitats managed for waterfowl, and funding for habitat programs. Thus, there is an opportunity for DU to play a proactive role in communications surrounding this issue. At a minimum, consideration should be given towards more holistic reporting regarding breeding waterfowl population status beyond the Mid-continent (Traditional Survey Area encompassing the PPR). Additional communications strategies should also be discussed regarding proposed changes to harvest regulations coming in 2019. DU should also be prepared to consider engaging in science efforts to identify causes and solutions where warranted. In addition, if habitat carrying capacity is identified as a bottleneck, DU will certainly have a role to play in restoration of wetlands and associated uplands. Finally, as this issue unfolds over the course of the next two years, the waterfowl management system will continue working as designed, adapting to new information, and enabling refinement of DU’s role in the northern Atlantic Flyway states and provinces. MDWFA staff members Greg Tracey and Paul Donhauser attended the Baltimore County Council legislative session on July 5, 2016 concerning Bill 42-16, which, in its original form (a) prohibits possession of firearms and all knives on County property, and (b) removes the current exemption for “dogs being used or trained for hunting” to the County’s law requiring that dogs be leashed on County property. The bill passed last night on a vote of 4-3, with Councilmembers Kach, Crandell, and Marks voting against it (in our favor). Prior to its passing, the amendment clarifying “dangerous weapons” (as opposed to unilaterally prohibiting ALL knives) and exempting hunters from the firearms prohibition was adopted. Another amendment was introduced by Councilman Kach to exempt Handgun Wear & Carry permit holders from the firearms prohibition, which did not pass (Councilmembers Kach, Crandell, and Marks voted in favor of the amendment). An amendment concerning the hunting dogs exemption was not introduced or considered. What it means: the County claims firearm possession in County parks has been illegal since 1986 per executive order from the Parks & Recreation Director and that hunters who have been bringing firearms into County parks since that time have been doing so illegally. The passing of this bill now legitimizes/legalizes a hunter exemption to the that prohibition. This is a win that the MDWFA was instrumental in obtaining. However, we lost on the issue of exempting “dogs who are being used or trained for hunting” from the County’s leash laws. Current law (for the next 45 days) is that dogs being used or trained for hunting are exempt from the law requiring dogs be leashed on County property. The passing of this bill removes that exemption. Other notables: Four individuals on behalf of the American Kennel Club attended and supported MDWFA’s position. What’s next: The bill is still pending the County Executive’s signature before it is signed into law. MDWFA will contact his office with the AKC delegates about requesting his veto on the bill until the retriever exemption is reinstated, though the bill was introduced at his request so that would be a long shot. Our Baltimore County members are encouraged to contact him as well. MDWFA staff spoke with the Director of Parks & Recreation, Barry Williams, about obtaining a leash law exemption for certain parks. He was amenable to this proposal. MDWFA staff is working with the AKC representatives to schedule a meeting with Director Williams about which parks would be allowed to be excepted, which will hopefully occur in the next three weeks. Any members who use Baltimore County parks for this purpose are encouraged to contact MDWFA staff to advise which parks are important to them to use so that those properties can be proposed at the meeting. All in all, a 50% win for Maryland Waterfowlers and the MDWFA will continue to work with the County to protect waterfowlers’ interests.